Onboarding is a crucial part of the hiring process that is sometimes neglected by companies that need to grow their ranks. This is an unfortunate fact when you consider that 50% of hourly workers will leave new jobs in the first 120 days after they are hired. Onboarding is a process that is especially critical for companies that use contingent workforce solutions due to the large volume of new hires. A workforce staffing agency can be one of the best ways to improve your onboarding experience to boost employee satisfaction and retention rates. Are Today’s Staffing Agencies Flirting With Risk? Onboarding new employees is something that most staffing agencies do much more frequently than other kinds of businesses. This is because of the nature of the staffing industry. The goal of any agency in this field is to match workers with organizations that are a good fit for their unique skillsets. Thus, onboarding is something that many staffing agencies place a tremendous amount of thought into. This is especially true for staffing agencies that serve one particular sector or industry. 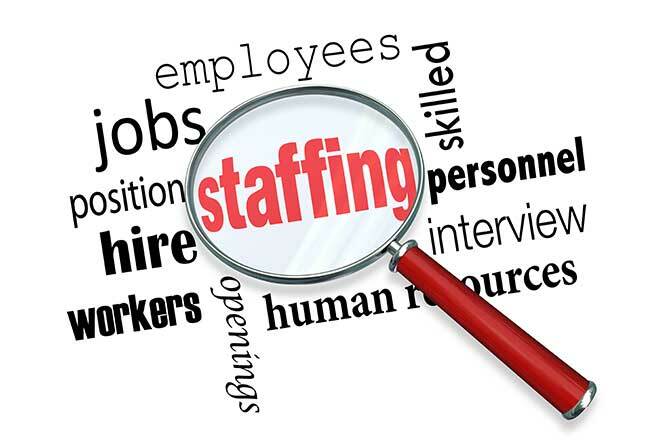 A high quality staffing agency will be able to find you successful candidates and then ensure that they transition smoothly into your organization so that you have no problem creating a mutually beneficial working relationship with your new hires. Providing a new perspective on onboarding: a staffing agency operates with its own set of rules and goals that exist separately from the companies they serve. Because of this, staffing agencies have the ability to apply a fresh perspective. One of the most critical factors of finding success with your onboarding experience is working with the right agency. Be certain to look for a staffing company that has helped businesses in your field with onboarding if you want to shore up your efforts in this field. Working with a staffing agency to improve onboarding can be a key part of building a productive workforce that can respond quickly to changes in your target market.